The world was rocked by the events that took place last week. The downing of the flight from Sharm El Sheikh to Russia and the Paris attacks were shocking enough. When four people died in five uncontrolled bush fires around an Australian town I used to live in, and friends of mine were fighting those fires, I felt uselessly far away. As a longtime Francophile I can honestly say my first response to the Paris attacks was to worry about friends, absorb information from Twitter and the news for several hours, and despair for one of my favourite cities. But it wasn’t long before my despair at what a few humans could do to so many, turned to hope as I saw the response. As information was released social media was visibly being put to good use, not only to share current information, but also to provide help to those in immediate danger. Facebook launched their Safety Check feature for an emergency other than a natural disaster, for the first time on November 13, 2015. Facebook responded to initial criticisms about not having used it when situations occurred in other countries, as simply chance that it launched at that time. The political bickering didn’t interest me; I found comfort in seeing my friends register themselves as ‘safe’. It is a good tool, and I am glad it has been developed. With so many people using Facebook these days, the value of enabling those who are not immediately involved to understand their loved ones are alright, free up communication networks, and minimise unnecessary stress is undeniable. Twitter, due to the forced necessity of being succinct, has long been the immediate news source of choice. 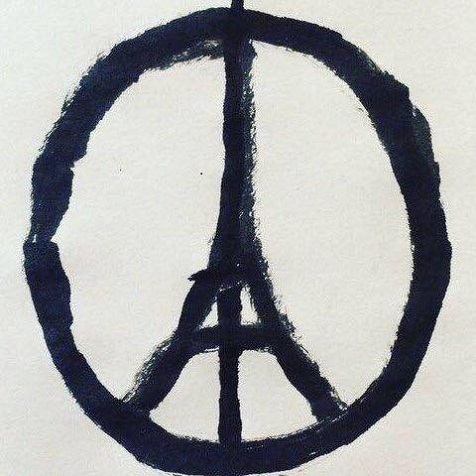 Parisians turned to Twitter to help strangers get out of harms way. Hashtag #porteouverte (meaning 'open door') enabled Parisians to open up their homes and share safe escapes with those stranded on the street. 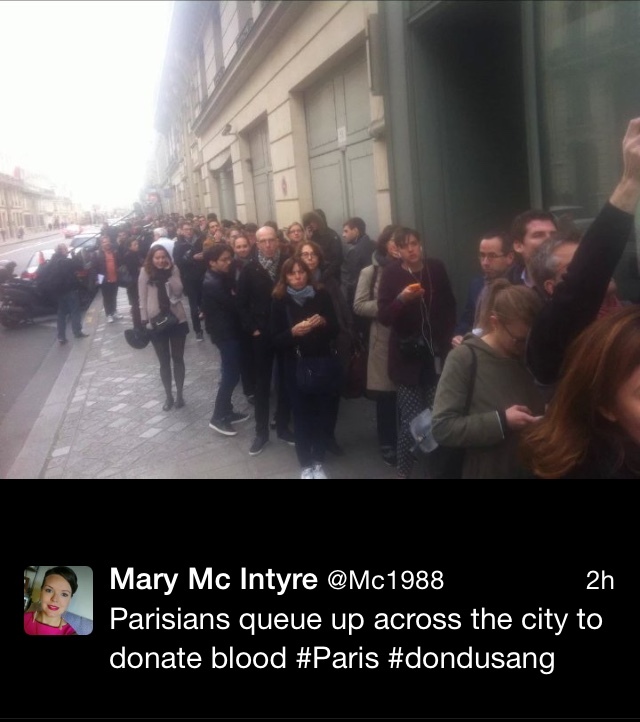 In the hours that followed hashtag #dondusang also emerged, encouraging Parisians to donate much-needed blood. 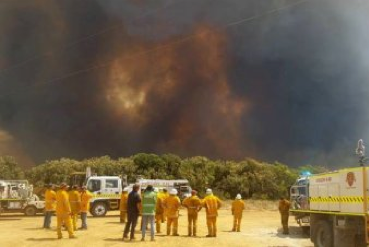 Only two days later the Esperance bushfires started and I was quickly following emergency warnings and updates about the situation, provided by people that I knew, to the community I once lived in. When the worst of the danger had passed social media quickly became busy with attempts to support those affected. My Facebook feed became filled with offers of spare rooms for those that had been evacuated from their homes, offers to keep displaced livestock safe in spare paddocks, pictures of home-cooked meals made for volunteer firefighters, and more. As the saying goes, it’s not what you’ve got; it’s how you use it. While people often complain about social media being a distraction or a waste of time, I prefer to focus on the ways it can be used for good. Given all that has happened in recent weeks, I am really grateful for social media and, perhaps more importantly, for the folks that use it for good.